All shows take place at our theater! Susan Messing and Rachael Mason are The Boys. They have toured the globe with their unforgettable, unabashed, and unapologetic balls out improv comedy. Separately, they are powerful forces of nature… Together they own the world. They guarantee a show that is disturbingly delightful and their classes will change the way you see improv. 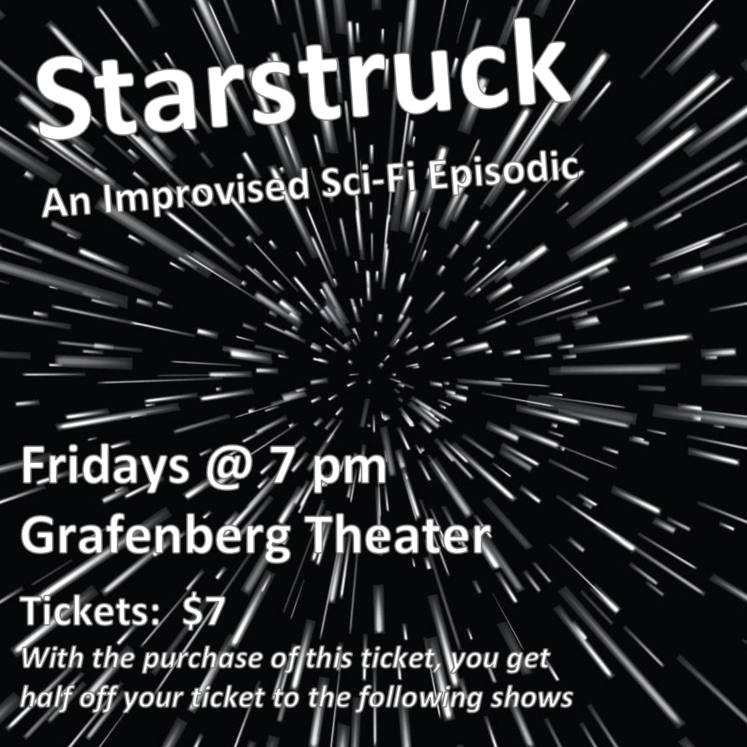 Grafenberg Productions’s most recent grad class will perform an improvised sci-fi episodic with living characters you can come back and see each week! Only running for 6 weeks! Each quarter, Genre-ly Speaking will present a different genre improv show. This quarter catch an improvised romantic comedy with a new story every week. The Grafenberg Players will improvise sketch premises developed only 2 HOURS before the show. You will see new ideas and scenes every week. Come enjoy the hilarity that will undoubtedly ensue! Two improv teams will perform sets with an added twist - a unique challenge they must complete while improvising! The audience will vote for their favorite team to come back the following week and compete again with a new challenge. We’ve got jams for everyone! Come out at 7 pm most Saturdays to catch some great jams! 1st Saturday of the month is the POC jam, 2nd Saturday is the All Ability Jam, 3rd Saturday is LGBTQ jam, and 4th Saturday is the Femme jam! 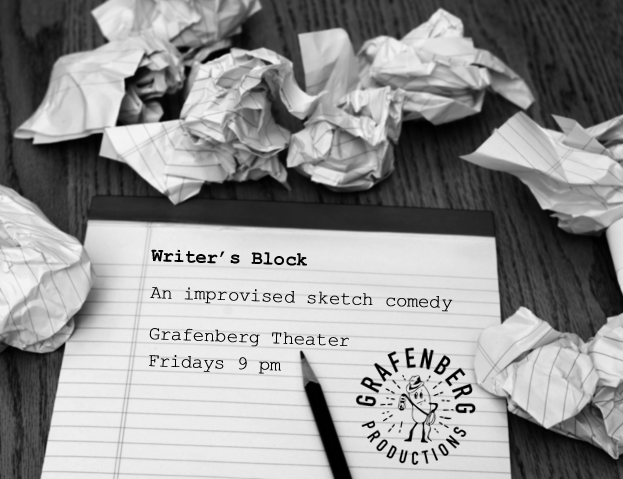 Come relive the best of Writer’s Block (Fridays at 8 pm) on the 1st and 3rd Saturdays of each month at 8 pm! Justin Franzen and Max Schwartz have been writing and improvising together for many years. 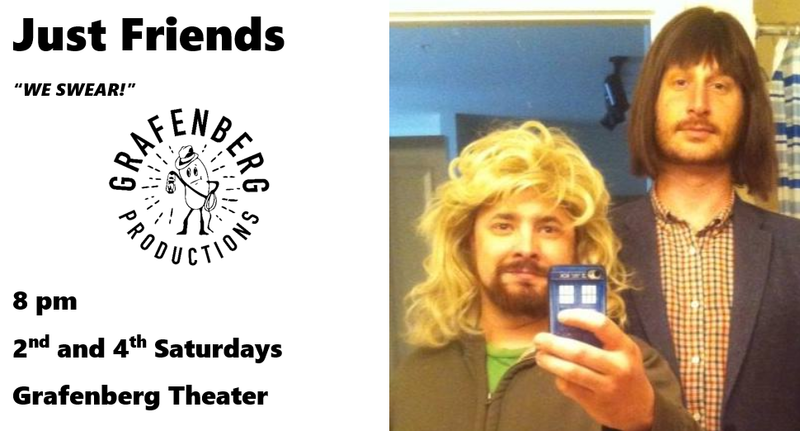 Kevin Mcdonald of Kids In The Hall once called their duo “Some of the best live sketch comedy I’ve seen outside of Second City!” You can now catch them regularly every 2nd and 4th Saturday of the month at 8 pm at Grafenberg! We want to hear YOUR relationship stories - any and all relationships types. 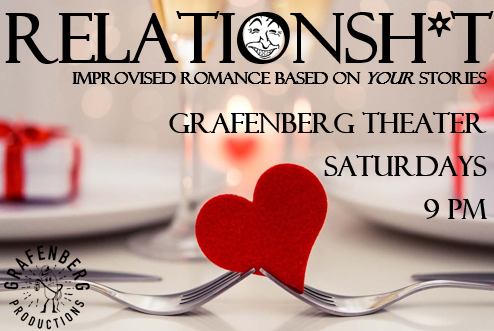 The Grafenberg Players will then improvise scenes based on these stories, evoking nostalgia, dread, or hope for a different ending. We here at Grafenberg love the idea of "play with everybody"! 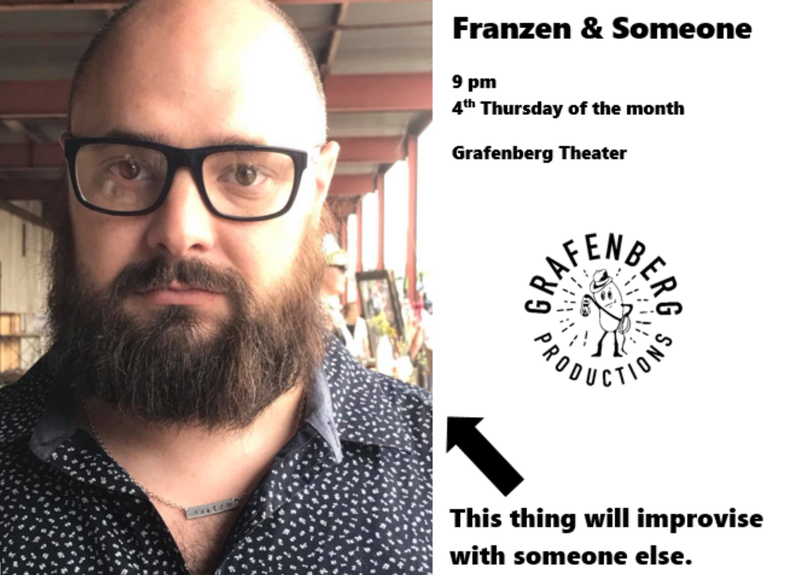 You're F*ck*ng Awesome is a show happening every Tuesday where improvisers can put their names in a hat to improvise in a two-person set with one of our instructors or Grafenberg Players. At the end of the night, anybody who hasn't played will be able to play in the group Jam! 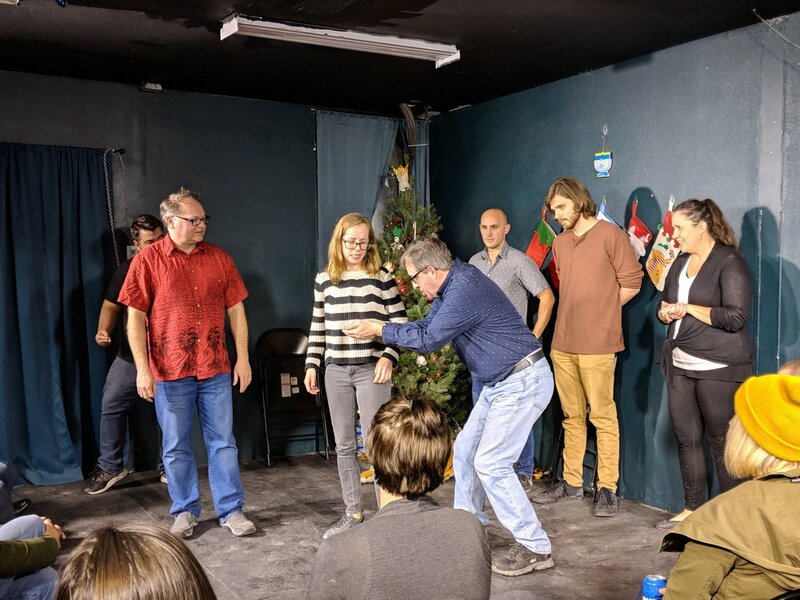 This weekly show features Grafenberg house teams, instructor and coach teams, and other improv teams from other theaters around the Denver community. Improv teams submit to recreate a film of their choosing. Will they improvise it, or will they plan every move? Either way, your mind will be blown! Get up and JAM! Improvisers of all experience levels and never-before-improvised improvisers are welcome at Grafenberg’s kick-ball style jam! Each month, a new guest player will be featured with in this Grafenberg show with Justin Franzen, Katie Matthews, Arash Zadeh, and Mark Shonsey to be interviewed on a couch, in a bar, and in a cab in this hour-long show. Get up and jam musically! This is an improvised musical jam in which team captains (including Max Schwartz) will choose teams and each will perform a musical improv set. Owner Justin Franzen and a guest will perform a 50 minute improv set based on your suggestion. We have a number of groups that practice and perform regularly, both at regular Grafenberg shows and at a variety of events and venues around Denver and beyond. Get on the Grafenberg show schedule! Looking to perform solo or with your own group? While all of our shows are curated, we are all about bringing the Denver improv community together. We have several shows that give performers around Denver the opportunity to join Grafenberg's line-up for an evening. Email us your (group) name, show of interest, and performance style, and we'll try to get on the schedule.